1. Bonow R.O., Mann D.L., Zipes D.P., Libby P. Braunwald,s heart disease: a textbook of cardiovascular medicine: 9th ed. USA: Elsеvier, 2011. 2. Oxford handbook of cardiology. Oxford University Press. 2006. 3. Кардиология: Национальное руководство. Под ред. Ю.Н. Беленкова, Р.Г. Оганова. М.: ГЭОТАР-Медиа, 2008. [Cardiology (Kardiologiya): National Guideline. Under the editorship of Y.N. Belenkova, R.G. Oganova. Moscow: GEOTAR-Media, 2008. (In Russ.)]. 4. Кривонос О.В., Бойцов С.А., Потемкина Р.А., Поляев Б.А. Оказание медицинской помощи взрослому населению по оптимизации физической активности. Методические рекомендации, 2012. http://www.rosminzdrav.ru/documents/6840pismo-minzdravsotsrazvitiya-rossii14-3-10-1-2818-ot-5-maya-2012-g [Krivonos O.V., Boytsov S.A., Potyomkina R.A., Polyayev B.A. Rendering medical aid to adult population regarding optimizing of physical activity. Methodological recommendations, 2012. URL: http://www. rosminzdrav.ru/documents/6840-pismominzdravsotsrazvitiya-rossii-14-3-10-1-2818ot-5-maya-2012-g. (In Russ.)]. 5. Ng S.W., Popkin B.M. Time use and physical activity: a shift away from movement across the globe. Obes Rev 2012;13(8):659–80. 6. Go A.S., Mozaffarian D., Roger V.L. et al. Heart disease and stroke statistics-2014 update: a report from the American Heart Association. Circulation 2014;129(3):e28–e292. 7. Европейские клинические рекомендации по профилактике сердечно-сосудистых заболеваний (пересмотр 2012 г.) Российский кардиологический журнал 2012; (4 приложение 2):1–84. [European clinical recommendations regarding prevention of cardiovascular diseases (Revision of 2012). 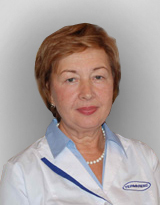 Rossiyskiy Kardiologicheskiy Zhournal = Russian Cardiological Journal 2012; (4 Appendix 2):1–84. (In Russ.)]. 8. Разработка системы мониторирования поведенческих факторов риска развития хронических неинфекционных заболеваний в России (Исследование в Москве 2000–2001 гг.). http://cindi.gnicpm.ru/mskbrfss-2001. htm [Development of the system of monitoring of behavioral risk factors of development of chronic non-infectious diseases in Russia (Research in Moscow in 2000 to 2001). URL: http://cindi.gnicpm. ru/msk-brfss-2001. htm (In Russ.)]. 9. Краткие итоги выборочного обследования «Влияние поведенческих факторов на состояние здоровья населения 2013». http://www.gks.ru/free_doc/2008/demo/ zdr08. htm. [Brief results of selective study «Effect of behavioral factors on the state of health of the population of 2013». URL: http://www.gks.ru/free_doc/2008/demo/ zdr08. htm (In Russ.)]. 10. Blumenthal R. Preventive cardiology: A Companion to Braunwald,s Heart Disease. 1st ed. USA: Elsevier, 2011. 11. Richardson A.S., North K.E., Graff M. et al. Moderate to vigorous physical activity interactions with genetic variants and body mass index in a large US ethnically diverse cohort. Pediatr Obes 2014;9(2): e35–46. 12. Chen J.H., Wen C.P., Wu S.B. et al. Attenuating the mortality risk of high serum uric acid: the role of physical activity underused. Ann Rheum Dis 2014. 13. Sattelmair J., Pertman J., Ding E.L. et al. Dose response between physical activity and risk of coronary heart disease: a meta-analysis. Circulation 2011;124(7): 789–95. 14. Lee D.C., Pate R.R., Lavie C.J. et al. Leisure-time running reduces all-cause and cardiovascular mortality risk. J Am Coll Cardiol 2014;64(5):472–81. 15. Whooley M.A., de Jonge P., Vittinghoff E. et al. Depressive symptoms, health behaviors, and risk of cardiovascular events in patients with coronary heart disease. JAMA 2008;300(20):2379–88. 16. Pahor M., Guralnik J.M., Ambrosius W.T. et al. Effect of structured physical activity on prevention of major mobility disability in older adults: the LIFE study randomized clinical trial. JAMA 2014;311(23):2387–96. 17. Middleton L.E., Barnes D.E., Lui L.Y., Yaffe K. Physical activity over the life course and its association with cognitive performance and impairment in old age. J Am Geriatr Soc 2010;58(7):1322–6. 18. Lee D.S., Markwardt S., Goeres L. et al. Statins and physical activity in older men: the osteoporotic fractures in men study. JAMA Intern Med 2014;174(8):1263–70.